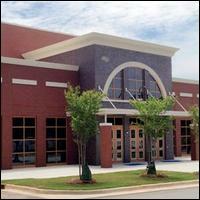 The Marietta Performing Arts Center is located at Marietta High School and seats 727 people. Built in 2013, the center is used for performances, rehearsals, competitions, community events, lectures, school functions and meetings. Parking: Free parking is available in parking lots at the venue.